If you’re looking for a site which brings you top quality games and generous bonuses, then we at Payforit Mobile Casino have one for you to check out. Touch Lucky Casino is a sleek and responsive gaming site which offers payments through your mobile phone bill. Now they sadly don’t accept Payforit, but they do take Boku which is equally as good. The best place to start is always with the games and at Touch Lucky Casino you can enjoy table casino, scratch cards and video slots. Many of these are available on both desktop and mobile devices, so if you’re a fan of Cleopatra or Siberian Storm then head over and play whenever you choose. 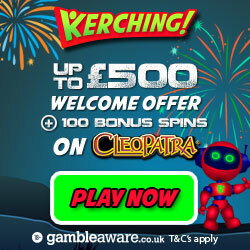 Registering on Touch Lucky Casino not only opens up a world of exciting games, you’ll also get a £5 no deposit bonus. This will be added to your account so no codes needed and it’ll give you a chance to test drive the site. Regular gamers will know that loyalty is important and as such should be rewarded. Touch Lucky Casino do this via their Privileged Scheme which is sadly invitation only, but once invited you could receive cashback offers, weekly bonuses, birthday bonus and spins. Touch Lucky Casino aim to bring you the latest games and promotions news on their Facebook and Twitter pages. You can also contact someone on there should you have any questions, plus there are representatives available via telephone and email. They accept Credit and Debit Cards, UKash, Skrill and Boku, which is the ability to charge your gaming credit to your mobile phone account. Boku is one of the easiest methods of depositing gaming credit, which is why there has been an increased in the number of casinos offering it. Simply provide your mobile number and confirm the amount you wish to deposit. There tends to be a maximum limit on how much can be added initially, but this increases over time. Once you confirm acceptance, then the money will be added to the casino account and credited to your mobile bill. Then you pay it off as you normally would, which means that you have more control over your money throughout the month. So if you’re feeling like luck is on your side, then head over to Touch Lucky Casino and claim that no deposit bonus.